Choose what’s right for you! 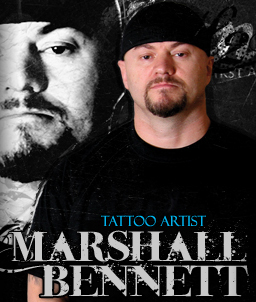 Newschooltattoo.com can supply full sets or individual bottles of Eternal Tattoo Ink. 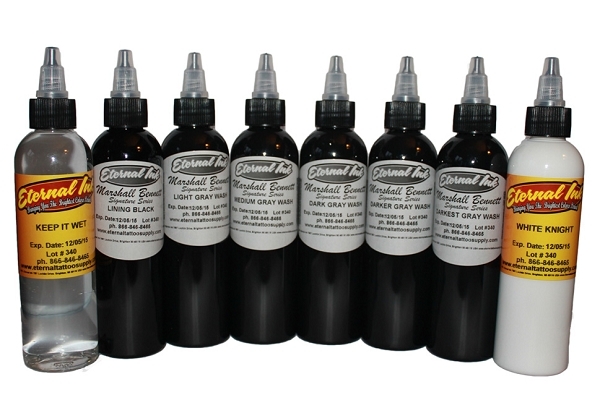 We carry a full range of Eternal Ink in your choice of 1 oz, 2oz, or 4 oz sized Bottles. 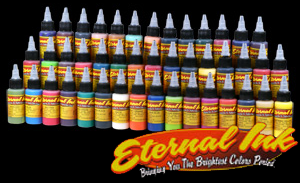 Eternal Inks use organic pigment, distilled water, witch hazel and alcohol. They have been developed by Terry Tramp Welker and tested under the EU Directive on aryl amines. 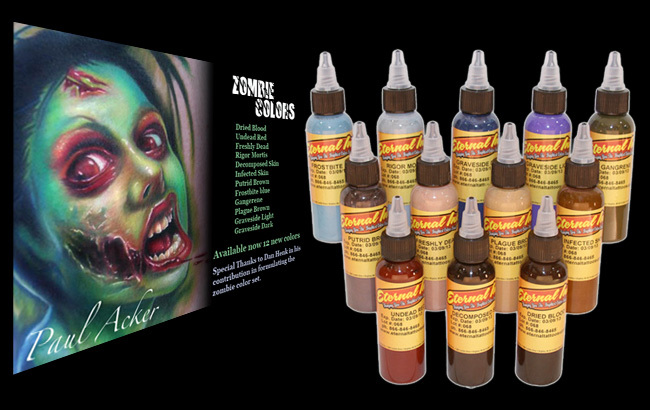 The Eternal Zombie Color Set is a very dark collection of flesh-tone browns, muddy reds and dirty purple. 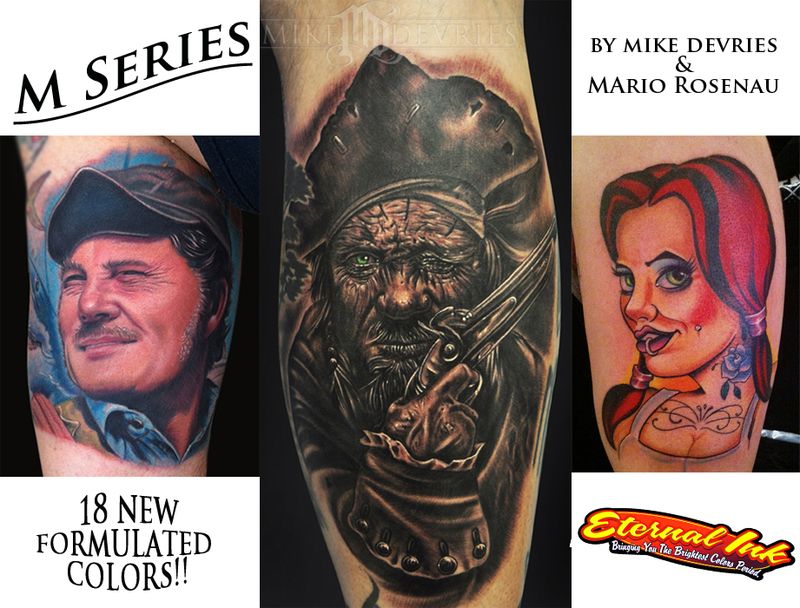 This set is one of many that was artist inspired and brought to you by Eternal Ink. 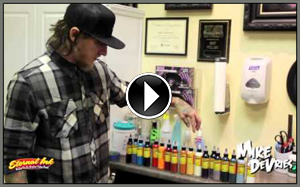 These colors are very versatile, from one of the best flesh tones we have ever seen to a great Frostbite Blue that can’t be duplicated, this set is a great addition to any set of ink. Inks available as a set – or – individually.